Why would I need self storage in Pompano Beach, FL? There are a variety of reasons why you might need self-storage in Pompano Beach, FL. How much is a storage unit in Pompano Beach, FL? The cheapest storage unit in Pompano Beach, FL is $26.00 per month. What size storage units do you have available in Pompano Beach, FL? In Pompano Beach, FL we have sizes that range from 4'x5' to 10'x30' to suit your storage needs. How much is it for a 4'x5' storage unit in Pompano Beach, FL? The cheapest 4'x5' storage unit in Pompano Beach, FL is $37.00 per month. Located in Florida's Broward County, Pompano Beach sits less than 10 miles from Fort Lauderdale. It's a highly diverse Gold Coast city that derives its name from the native pompano fish. If you enjoy fishing, boating and other coastal activities, you'll appreciate the quick access to the beach. Additionally, its convenient location makes it easy to commute to Miami, Fort Lauderdale or Palm Beach for work, while coming home to the comparatively laid-back culture in Pompano Beach. Several annual festivals and events take place in Pompano Beach, which make it a popular area for families. You might enjoy attending the Holiday Boat Parade, the Seafood Festival or the Pompano Beach Fishing Rodeo. During the winter, the area's population grows to more than 150,000 as seasonal residents return to the city to take advantage of the warmer weather. You'll find numerous restaurants, shopping venues, golf courses and other community amenities to enjoy. Although Pompano Beach features a small-town atmosphere, you can find just about everything you need within the city limits. Plus, you're just a short drive away from bigger cities. The area has more than 20 distinct neighborhoods, each one with its own unique personality and features. It's known for its efficient public transit, which makes commuting to work on the bus or other public transportation system a cinch when you don't have a car. Pompano Beach's strongest industries include tourism, retail, light manufacturing and high technology, providing a variety of options if you're going to be joining the local job market. Pompano Beach offers more than 50 public parks and recreational facilities within its 24 square miles, so you're never far from one. Several community centers offer spaces for public rentals and are popular meeting places for local clubs and organizations. Many of the parks feature children's playgrounds, picnic areas and sports fields. The city's airpark is encircled by a 4.4-mile track, fully paved and open to bikers and runners, providing interesting scenery for your daily workout. With such an abundance of green space, it's easy to lead an active lifestyle, whether you're a single professional or the parent of young children. Pompano Beach also has a public beach, providing a scenic setting for relaxation, swimming and water sports. There are several boat docks, space for beach volleyball and fishing areas. Surfing and paddle boarding are allowed in designated areas, while you can enjoy boogie boarding and swimming just about anywhere along the Pompano Beach coastline. City pools, tennis courts and golf courses offer a number of additional recreational opportunities. Adults and children alike can also take advantage of the many programs and sports leagues offered by the city of Pompano Beach. Schools in Pompano Beach are part of the Broward County Public Schools. There are many different private schools in the area as well, including those that provide specialized study tracks for secondary students. Utilities: Florida Power & Light provides electricity to Pompano Beach. Water and sewer services are managed and billed by the city. Garbage and Recycling: For single-family, duplex and triplex homes, trash is collected twice per week. There is a local bulk-item drop-off station, and you can also request curbside collection. Transportation: Broward County Transit operates several bus routes throughout the city, while the South Florida Regional Transportation Authority's Tri-Rail also serves the area. The city offers several different types of housing, including single- and multi-family residences in both urban and suburban settings. Many of the homes feature Mediterranean or Spanish architecture, though you'll also find plenty of ranch-style homes. Condominiums and apartment buildings are abundant in the city. 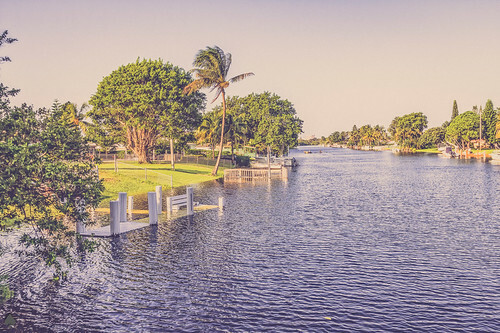 Most residential areas enjoy quick access to the beach, which is part of the reason that homes in Pompano Beach and surrounding areas are slightly more expensive. Our lowest priced units in Pompano Beach, FL average $45.80 per month. 639 people have reserved units in Pompano Beach, FL in the past 30 days. There are 10 locations within Pompano Beach, FL's city limits. There are 9 locations in Pompano Beach, FL that offer AC and Heating features.